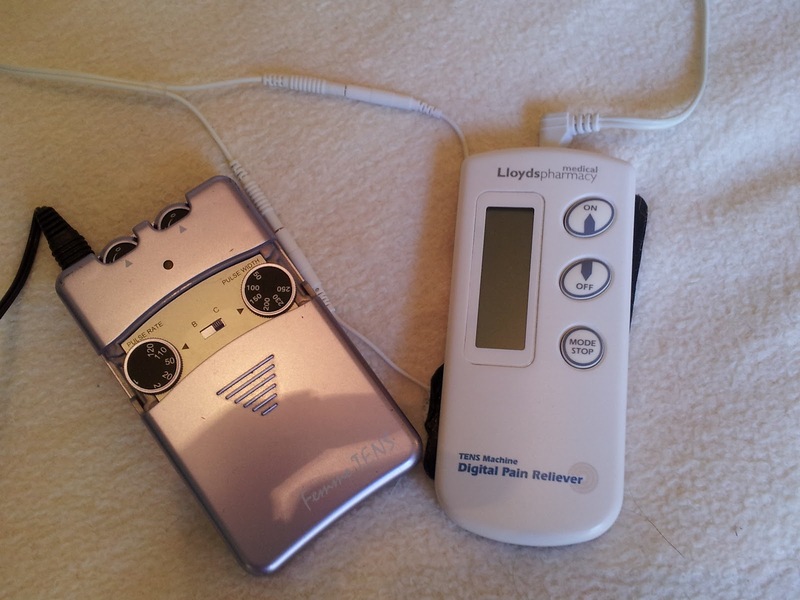 Migraine Monologues: Plugged into my TENS – pain reliever extraordinaire. New York, Lower East Side. 2008. Tisch School of The Arts, NYU. Graduate Musical Theatre Writing Programme. Boy: Yo V, you Brits sure are sneaky! Me: Oh and pray tell, why is that? Boy: I saw you pretending to listen to Michael John in that lab but really you were listening to your iPod, weren’t you? I can see the wires, don’t deny it! Boy: You talk all posh but really you is baaad aassss. Me: Yes. I’m a bad arse. Boy: Do you know Kate Middleton? Boy: What were you listening to? Boy: Nice. I like your style. Personally I think that Elaine Str… hang on wait. Where are the earphones for your iPod? Me: What ever do you mean young man? Oh is that the time we’re going to be late for Playwrighting. Boy: Your iPod doesn’t have any earphones? What are those pads things stuck on your neck.. wait! That isn’t an iPod at all! And with that the ruse was up, for I wasn’t listening to an iPod during class: I was in fact wearing a TENS unit. The tall blond American didn’t think I was quite such a bad arse after this conversation and had attempted to explain what a TENS unit was, that I was essentially electrocuting myself. But you have no idea how often the white wires which poke above the artsy scarf I usually have wrapped around my neck get mistaken for those of an iPod. So what is a TENS unit & why do I often have one stuck onto me? 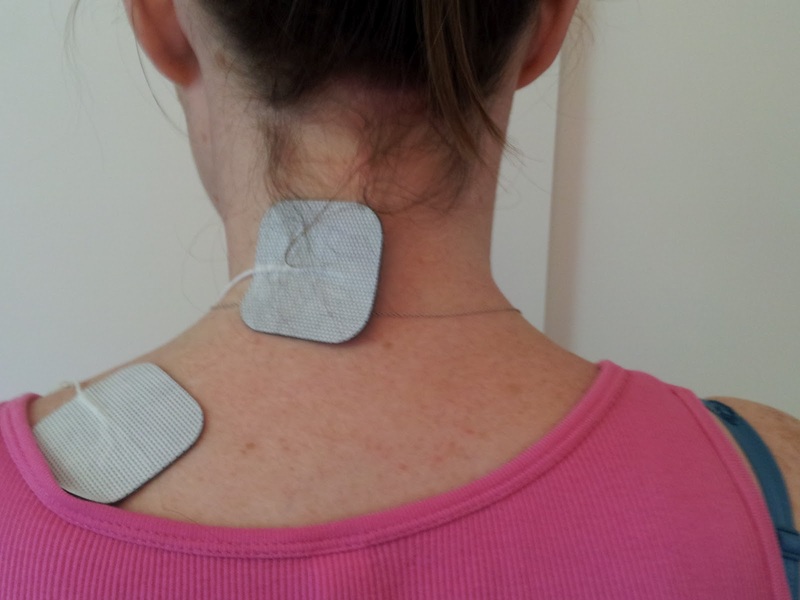 Basically it feels like a nice massage (not electrocuation at all) and can signficantlay reduce neck and shoulder pain and is, for me, a wonderful distraction during a migraine. 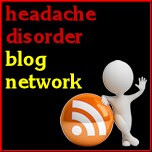 I was first given one at the Dartmouth Hitchcock Medical Centre in Hanover, New Hampshire in 2004 after my Inner Ear operation for misdiagnosed Migraine Associated Vertigo. Following the operation I saw another ENT Doctor (with a specialism in Vertigo) and explained how my saga began after I was involved in a Road Traffic Accident where I was hit from behind and suffered from, what I believed at the time, to be severe whiplash but I now know was, in fact, a minor spine fracture. This misdiagnosis has led to a slew of other neck issues. That Doctor had done several studies and believed that if you stabilized the neck and back, vertigo often decreased. If you think about it there are many balance mechanism within the neck which, I guess, can literarily pull on the inner-ear. (He put it far more eloquently. If I can ever find the studies he gave me I’ll post them.) So he wanted me to work on strengthening the relevant muscles in my neck which had, at this point 5 years after the accident, atrophied, as well as doing other vestibular rehab. So I was sent downstairs to Physiotherapy and there I was given the Power Ranger of all TENS unit. At the time my US Health Insurer paid for it. I was told to cut one pad in half and stick it on the back of my neck where it hurt and the other half on my shoulder, or wherever the pain and stiffness was, and to then gently turn it up to the desired level. And here is where you can have some fun with TENS machines, I have often turned it up too high, or put the pads in the wrong place and had arms flaying about beyond my control like some deranged Robot. I was warned NEVER to place a pad on my head. This can be dangerous. With a TENS unit (they’re also called machines?) you really just have to carefully experiment. I often like to put the pads on each shoulder, or one on my neck and the other of my shoulder. Like so! In the UK you can now buy them in most major Pharmacies or on-line (Amazon seems to have a good selection.) They range in price from £9.89 up to about £60. Replacement pads are also readily available. A ‘Dual’ machine allows you to have four pads, I only ever use two though and find that adequate. In terms of settings, personally I prefer a constant setting, I cant stand the programs that pulse or augment up and down but again, it’s a question of taste. You might get some strange looks going to buy one, however, as they’re often sold as aids for child birth but more frequently they’re being sold for back and pain management. I have a beautiful purple one called a ‘Femme Tens’ and do not believe I’m pregnant. Though if offered a seat on public transport I will take it without any shame. My current TENS unit is not nearly as sophisticated or as powerful as the Power Ranger one I was given in the US but seems to do the trick. I don’t think there’s any real difference between the birthing ones and the back pain ones. Friends of mine who have used them in labour said they aren’t much use anyway…. Mum's Tens on the right. But I find if my left shoulder muscle begins to ache, or go into spasm, or my neck starts to hurt I whack it on and sometimes it can negate taking pain killers and stop a migraine or tension headache developing. Once I have a migraine it really is a great distraction, it helps dull the pain somewhat but it is, obviously, by no means a cure and not a replacement to my precious triptans. Sometimes I find it annoying when I have a mega migraine but more often than not I crave it, especially when my back is sore or I have to sit for a long time. If you are prone to tension headaches, or have any type of muscular ache, I’d really recommend trying one. For those of us in danger of Medication Over-Use Headache this is a good tool to have at hand, so mine is always in my handbag and Mum swears by hers too. It’s up there with the old ice pack in terms of my migraine survival kit. So if you see a girl with wires peeking over the top of her scarf… and nodding along to imaginary music, just humour her allusion and madness. Do obviously check that it’s safe for you to use a TENS unit before you plug in! i.e if you have a pacemaker, or other implanted medical devices. *I do also realize that Tisch school of the Arts is probably the only place in the world where listening to the original broadway cast recording of any musical could be classed as cool. Hence why is was the best two years of my life…. Sigh. I have migraine since 8 years and the first time I've heard about TENS was at my doctor. For me, it's really helpful and since I use it, I can "control" the intense of the pain somehow. Thanks for the great article about it. Hi! Thanks! 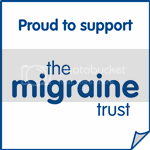 Glad to hear another migraineur gets relief from TENS, think there are quite a few of us who find it useful - whenever I go to my GP I always mention it... oh aren't I helpful! Hope you're doing well. I have a TENS unit that we bought through an ad on TV in the U.S. We bought it for back pain as I have both chronic all over pain as well as migraines. It was called "Dr. Ho's Double Massage Therapy System". I recently started using it for my migraines, in my cervical region. It works wonders. The pads on mine are getting worn out I am considering buying a wide headband to hold them on when I use them. You say you use a scarf? Hi Kaitlin, you can buy replacement pads quite easily in Boots and most other pharmacies - all diff brands seem to fit most machines, I've found. So I just buy new ones when the sticky goes - but I do need a better system then a loose scarf! Hope you're well today! TENS machines do not have any side effects or addictive properties. They encourage patients to self management their symptoms and avoid heavy reliance on drugs. thanks for your Great job. Reboundpainrelief.com If possible visit this site. Found more great facts. TENS therapy works great for back pain and similar, it will be interesting to see how it affects migraines. I've found that simply cutting out caffeine helps a LOT. I know this is rather late news but I used a TENS unit for labor (17 years ago) and it worked wonderfully for the first 12-18 hours. When labor got really rough, I was almost done but finally needed an epidural for the last 4 hours or so.